The Pioneers: The Sources of the Susquehanna; a Descriptive Tale is a historical novel, the first published of the Leatherstocking Tales, a series of five novels by American writer James Fenimore Cooper. While The Pioneers was published in 1823, before any of the other Leatherstocking Tales, the period of time it covers makes it the fourth chronologically. 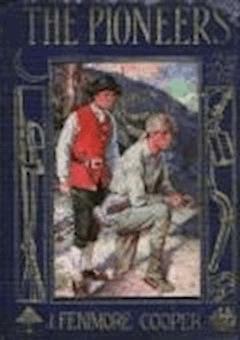 The story takes place on the rapidly advancing frontier of New York State and features a middle-aged Leatherstocking (Natty Bumppo), Judge Marmaduke Temple of Templeton, whose life parallels that of the author's father Judge William Cooper, and Elizabeth Temple (the author's sister Susan Cooper), of Cooperstown. The story begins with an argument between the Judge and the Leatherstocking over who killed a buck, and as Cooper reviews many of the changes to New York's Lake Otsego, questions of environmental stewardship, conservation, and use prevail. The plot develops as the Leatherstocking and Chingachgook begin to compete with the Temples for the loyalties of a mysterious young visitor, "Oliver Edwards," the "young hunter," who eventually marries Elizabeth. Chingachgook dies, exemplifying the vexed figure of the "dying Indian," and Natty vanishes into the sunset. For all its strange twists and turns, 'The Pioneers' may be considered one of the first ecological novels in the United States.